With a permanent office in the Far East, Activ-8 Distributing is able to send goods everyday to the US, UK and Europe. Apart from supplying mobile phones, accessories and cameras, Activ-8 also boasts a device repair facility (for iPods, Nintendo Wii, PS3 and Blackberry Devices). The company\'s current arsenal spans a large list of categories, ranging from Blackberry phones, batteries and headsets, to iPod chargers, holders, and cases. For businesses directly buying from Activ-8, all orders receive a 20% off discount, with a clean, free packaging for all products. Moreover, interested merchants can sign up with the Activ-8 drop ship program, which relieves businesses of maintaining costly inventory, and allows you to market Activ-8 goods via your own means. All orders are shipped within 48 hours of placement, excluding weekends and Bank Holidays. 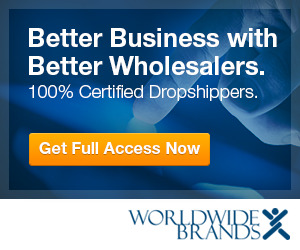 Dropship merchants do not have to pay a sign-up fee, however credentials are verified.